Cost for the ride is a $20.00 donation for single riders and $35.00 for double riders. A free ride pin is included for the first 100 riders. In addition to the ride, the event will include lunch catered by El Torero, beverages, free ice cream, raffle and door prizes, music Raffle prizes include Gift Certificates to local restaurants, gift baskets, motorcycle gear. And a big Door Prize! All proceeds from this event will help raise money to benefit local families whose children have been diagnosed with Autism, by providing funding for scholarships, services, therapies, education and information associated with Autism Spectrum Disorders. 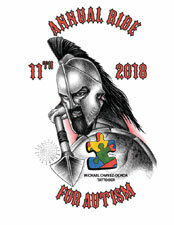 If you are interested in providing raffle prize donations, please contact Geoff Cooper at (209) 256-2476 or email -info@tricountyautismgroup.com. Tri-County Autism Group is a non-profit, 501-C3 organization formed 8 years ago to assist families in Amador, Calaveras and Tuolomne counties, for their Autism needs. Monthly meetings are held every 3rd Tuesday at El Terero. Meetings begin at 7pm and are open to the public. New members are welcome and encouraged. 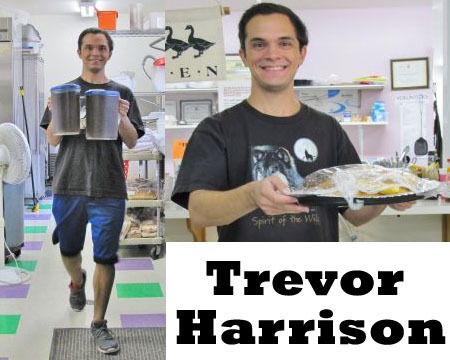 Trevor Harrison, 20, of Valley Springs has held a part-time job since he was in the ninth grade. “I don’t want to be lazy and slack off,” he said. “I want to work.” He has logged hours at various jobs around Calaveras County. His latest job is in the kitchen at the Calaveras Senior Center. The hallmark feature of ASD is impaired social interaction. As early as infancy, a baby with ASD may be unresponsive to people or focus intently on one item to the exclusion of others for long periods of time. A child with ASD may appear to develop normally and then withdraw and become indifferent to social engagement. Children with an ASD may fail to respond to their names and often avoid eye contact with other people. They have difficulty interpreting what others are thinking or feeling because they can’t understand social cues, such as tone of voice or facial expressions, and don’t watch other people’s faces for clues about appropriate behavior. They lack empathy. Many children with an ASD engage in repetitive movements such as rocking and twirling, or in self-abusive behavior such as biting or head-banging. They also tend to start speaking later than other children and may refer to themselves by name instead of “I” or “me.” Children with an ASD don’t know how to play interactively with other children. Some speak in a sing-song voice about a narrow range of favorite topics, with little regard for the interests of the person to whom they are speaking. Children with characteristics of an ASD may have co-occurring conditions, including Fragile X syndrome (which causes mental retardation), tuberous sclerosis, epileptic seizures, Tourette syndrome, learning disabilities, and attention deficit disorder. About 20 to 30 percent of children with an ASD develop epilepsy by the time they reach adulthood. ASD varies widely in severity and symptoms and may go unrecognized, especially in mildly affected children or when it is masked by more debilitating handicaps. Very early indicators that require evaluation by an expert include: •	no babbling or pointing by age 1 •	no single words by 16 months or two-word phrases by age 2 •	no response to name •	loss of language or social skills •	poor eye contact •	excessive lining up of toys or objects •	no smiling or social responsiveness. Later indicators include: •	impaired ability to make friends with peers •	impaired ability to initiate or sustain a conversation with others •	absence or impairment of imaginative and social play •	stereotyped, repetitive, or unusual use of language •	restricted patterns of interest that are abnormal in intensity or focus •	preoccupation with certain objects or subjects •	inflexible adherence to specific routines or rituals. Health care providers will often use a questionnaire or other screening instrument to gather information about a child’s development and behavior. Some screening instruments rely solely on parent observations, while others rely on a combination of parent and doctor observations. If screening instruments indicate the possibility of an ASD, a more comprehensive evaluation is usually indicated. A comprehensive evaluation requires a multidisciplinary team, including a psychologist, neurologist, psychiatrist, speech therapist, and other professionals who diagnose children with ASDs. The team members will conduct a thorough neurological assessment and in-depth cognitive and language testing. Because hearing problems can cause behaviors that could be mistaken for an ASD, children with delayed speech development should also have their hearing tested. Children with some symptoms of an ASD but not enough to be diagnosed with classical autism are often diagnosed with PDD-NOS. Children with autistic behaviors but well-developed language skills are often diagnosed with Asperger syndrome. Much rarer are children who may be diagnosed with childhood disintegrative disorder, in which they develop normally and then suddenly deteriorate between the ages of 3 to 10 years and show marked autistic behaviors. Click here to see a list of our Ride Sponsors and Donors! Copyright (c) 2015 TriCountyAutismGroup.com. All rights reserved. Design by Joker Web Hosting.